"Constellation’s software is affordable, easy to navigate, and is supported by people who actually listen and understand the marine industry." 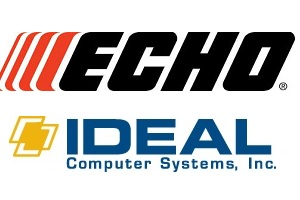 Ideal Computer Systems, the leading provider of business management software for Outdoor Power Equipment dealers, and ECHO Incorporated, a leading manufacturer of professional-grade, hand-held equipment, have teamed to provide dealers with The Toro Company’s EZ-Link product registration system for those who carry ECHO and Shindaiwa equipment lines. By using the EZ-Link integration through the Ideal software, ECHO and Shindaiwa dealers now can save valuable time on product registrations, as customer information only has to be entered once. The system will automatically send the product registrations to ECHO Incorporated’s database, and the information then can be utilized by the dealer for warranty confirmation, customer marketing, and product rebate processing. The EZ-Link system was developed by Toro to link dealer inventory and invoice information directly with Toro’s business systems. The resulting connectivity leads to enhanced productivity on both sides. For more information on EZ-Link and how it integrates with Ideal’s Business Management Software, call 800-737-1620. Copyright © 2011 Constellation Dealership Software. All rights reserved.